White votive candles, burn time up to 15 hours each. 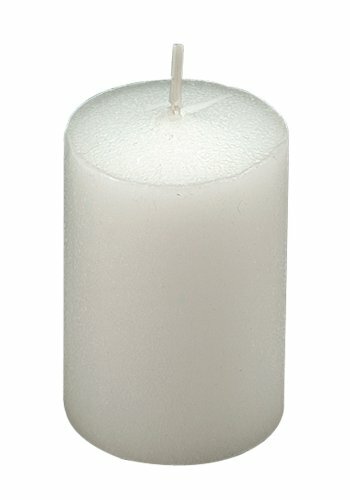 Buy in bulk - 144 candles in this package - to save money. Biedermann & Sons has specialized in unique candles and decorative accessories since 1956. The highest quality and craftsmanship define our selection and we are proud of our quality and selection.